Any meter testing or installation project you are contemplating are within the capabilities of Chapman Metering and we welcome all challenges in providing fast, efficient, cost effective services to meet your particular requirements. Call us for quotes on our services any time. No matter what your metering needs are we can save you money. As the pressures of downsizing, deregulation, and all the other day to day business dealings continue to mount, outsourcing of meter testing and installations will become more and more attractive to the utility industry in general. Chapman Metering has a modern shop with the most up to date equipment and technology. Each of our employees tests an average of 5000 meters per year. They are not interrupted by service calls, other maintenance requirements or the telephone. Their time is devoted strictly to inspecting the service and calibrating the meter to as close to 100% as possible. They will inform you of any discrepancies or potential dangers immediately and in the event of tampering they will take pictures of anything deemed helpful. Chapman Metering has been involved in the service business of testing, installing, repairing, and engineering electric metering applications for over 40 years. Our rates are all inclusive. We do not add fees for mileage, meals or lodging to any of our statements. 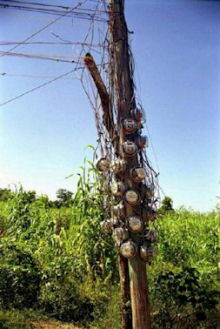 When current and/or voltage transformers enter this picture the revenue gains can become phenomenal. If one current transformer fails, on a consumer with an average consumption of 25000 KWH per month, are you certain the billing system will catch a 30% drop? Far more often than not, this type of equipment failure will go undetected for years. If there has never been a thorough inspection of your transformer rated metering sites we can almost always find enough problems to pay for a meter testing and maintenance program for several years to come. These sites should be inspected and the meters should be tested for accuracy on a 3 to 5 year rotation. Large power and primary metering installations with current transformers that have deteriorating or corroded connections causing as little as 2% accuracy drop can easily be linked to significant losses. These installations should be inspected annually just to keep this phenomenon from occurring. Analyzing the service with our Bird Dog® software provides the most economical means of determining not only the amount of losses involved, but will also pinpoint the possible causes. 1. Field Testing and Calibration of Watthour Meters. Field-testing utilizes our mobile test labs. 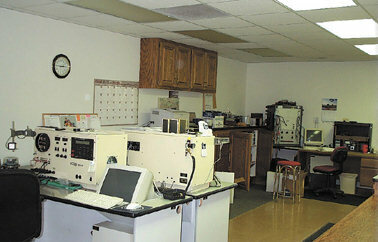 Each van is a complete computerized testing lab fully capable of any procedure that can be conducted in a shop environment. Every test includes information on the condition of the service, voltage readings, verification that the wiring is correct, and an inspection to detect all but the most sophisticated diversion attempts. Self-contained single-phase and polyphase metering installations are inspected for condition of the service and proper voltage for the installed meter. Any discrepancies are well noted to allow repair or corrections as required. We recommend these services for a testing cycle of a l0 to 15 year rotation. Testing of polyphase transformer rated services is recommended at a 3 to 5 year rotation. This is due to the added possibility of wiring errors, deterioration of the secondary wiring, failure of current and voltage transformers and damages done by the many guests who find the meter socket a suitable location to set up housekeeping. Our procedures when testing these meters include verification of the wiring scheme, burden testing the current and voltage transformers, and printing a vector analysis of the load during our test. In the event we are unable to arrange for acceptable load to conduct all these tests a complete visual inspection is conducted and you are only charged for a routine polyphase meter test. We also offer an extended service using our "Spinlabs Bird Dog ™" where all CT's and VT's in the metering application are both ratio and burden tested for accuracy. The report that is included with this test is very informative about the condition of the service and has revealed far more problems with CT's than we ever imagined. Conducting this test on large power accounts is highly recommended on at least a biannual basis. We are totally convinced that all costs will be recovered in extremely short order. This report clearly illustrates our warnings about incorrectly sized CT's. 2. Load Control Device Inspection and Maintenance. This service was developed after we received requests from several clients and is proving to be very valuable to them. We are finding many units indicate they are functioning properly when actually they are not. There are locations where someone has managed to use a creative connection scheme that rendered the control device inoperative. There has been anything from broken antennas, defective receivers that only needed corroded connections cleaned, to devices utterly destroyed by vandalism. We are currently involved in several AMR projects and have become very well informed as well as proficient at making the transition to automated meter reading go smoothly. Our ability to write programming within our Microsoft Access™ driven database to check and double check data transfers being conducted between the AMR software and your company operations software has virtually eliminated data entry errors. At a minimum the errors are caught and corrected before becoming an issue for the billing department. Our Lab, located just 1 block off of Interstate 80 on Highway 59 in Avoca, Iowa provides all the services required for shop meter testing. We stock and pre-wire meter sockets, metering CT cabinets and combination CT cabinet meter socket equipment. We use our own standard color code in these sockets or, at no extra cost to you, will wire them using your specified color codes. We can build any metering package you may require, generally from our stock, within a matter of a few days. We also have field personnel available to deliver and assist in the installation of this equipment if needed. 5. Watt-hour, Var-Hour and Voltmeter Standard Certification. Our equipment is certified annually and traceable to the National Bureau of Standards. Voltmeter standards need to be sent to our lab for certification as that test equipment is fairly delicate and not very portable. We can certify your meter test equipment either in the lab or at your location since the solid state equipment is so stable. The procedure of removing the standard from today's test equipment is sometimes very involved and sending the equipment back to the manufacturer for certification is definitely costly. In the past, when we found meter test equipment out of acceptable tolerances or in need of repair, we recommended sending it to the manufacturer for that service but we now have a company that is far more reasonable to deal with and does a very good job of taking care of these needs. It is Mr. Harold Kennedy owner of Alpha & Omega Calibrating Services. Watch for a link to his soon to be developed website. Almost any metering applications you can dream up is within the realm of our service abilities. Many utilities are generating at peak times to assist the supplier in peak shaving at very substantial savings. 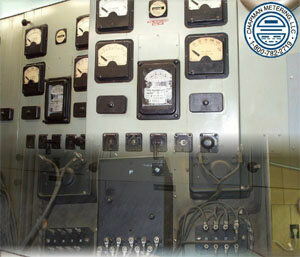 The original panel meters carry multipliers of 100 or 1000 and are equipped with clock dial registers. Hourly readings recorded have always been an educated guess instead of exact values. At a cost typically less than $1,000.00 per metering point, we have been converting this equipment to solid state primary reading sockets type meters. The results are fantastic and the periodic maintenance and testing of these meters becomes far less involved. 7. Meter and Computer Programming Services. Our meter information database uses Microsoft Access™ and is possibly the most versatile meter record keeping system around. We provide a "Complimentary Copy of our Access.MDB" file to our clients at no charge. This copy has enough prepared reports and data transfer capabilities to provide adequate information about meters we have tested for you. For a nominal fee we can customize this file to include data from your system and design specific reports, file transfers, data input and data comparisons you might need.The only limiting factor here is your imagination. If it can be done with Microsoft Access™ we can make it happen for you. We are extremely knowledgeable with all manufacturers meter programming software and can provide you with solid state meters programmed the way you need them and ready to be installed. If you purchase the meter through us it is shipped to you programmed and ready for service. If it is programmed incorrectly, we will correct it at no charge. We can set up any type of communication chain you may need and have field personnel close enough to get in and help you with special projects at any time. If we are unable to provide the meter you require, at a competitive price we can still help you be certain the meter you do purchase is what you need. Don't buy more meter than it takes to do a job and don't buy a meter that can't be expanded in the event more features are required in the future.